Pure Air is our budget friendly all-round iSUP, designed with everyone in mind. 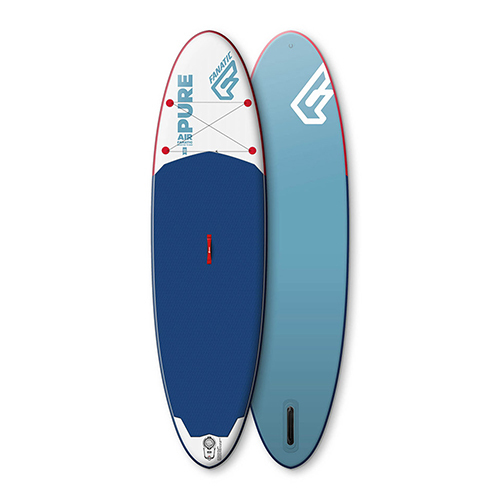 Easy to transport, simple to setup, stable and versatile, it’s guaranteed SUP fun for all levels!Our Pure Air delivers a huge amount of bang for your buck! Our single layer Drop Stitch Light technology provides a quality construction without reaching deep into your pockets. 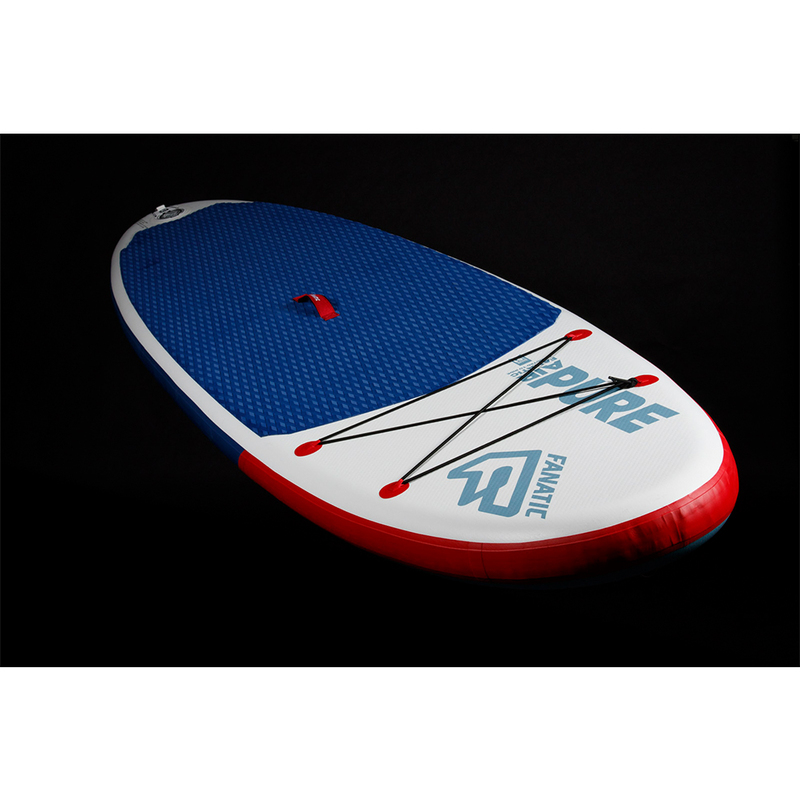 Still produced at one of the world’s most renowned manufacturers, this inflatable Stand Up Paddle board is created with top quality materials and production standards you’d expect from Fanatic.The Pure Air 10’4” is the exact shape of our popular Fly Air, in its respective size. 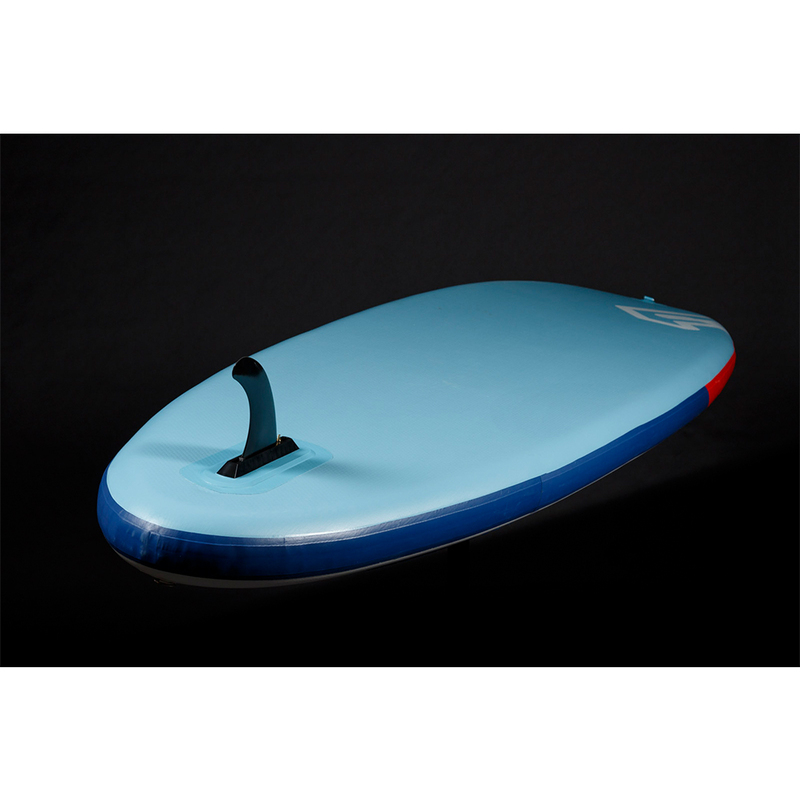 It’s the ideal all-rounder to get into Stand Up Paddling and offers great balance with good glide and manoeuvrability.Packing down and transporting your iSUP is a piece of cake thanks to our lightweight Pure Air bag, which includes our Fanatic Power Pump HP2 for fast and easy inflation.